Side diamond weight on ringApprox. 0.00 ct. wt. Side diamond weight on bandApprox. 0.00 ct. wt. Now make your shopping experience smoother than ever with our various payment options. Layway PlanMake flexible payment at your convenience. Jewelry appraisal included with your purchase. 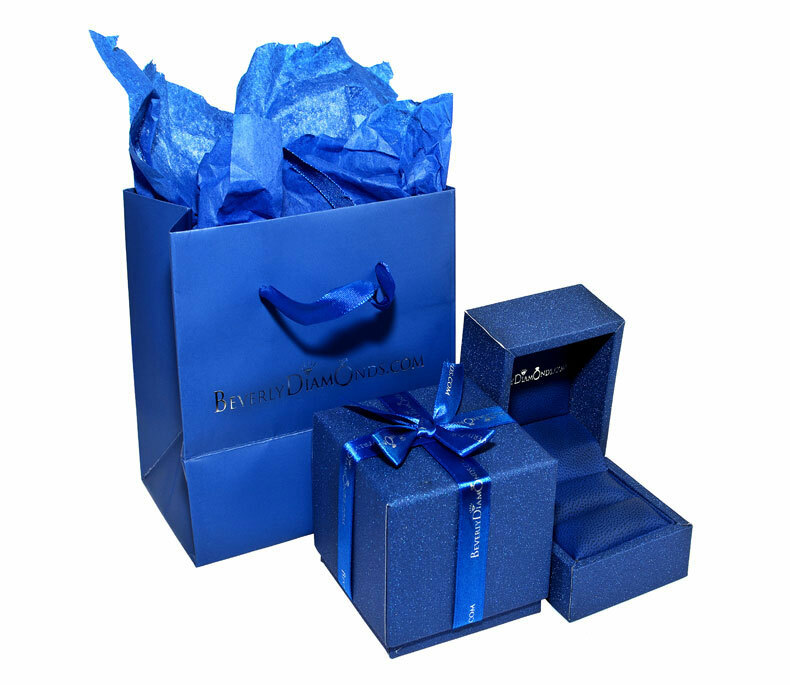 The full shopping experience, your order will include a customized ring box & paper bag. Receive a $50 Restaurant.com Gift certificate with your Engagement Ring Purchase. For us, ethical sourcing is personal. People come from all over the world, and many of us know the cost of human rights abuses too well. We comply fully with international standards like the Kimberley Process, and we constantly keep ourselves up to date with global developments. Our jewelry is also made in Los Angeles City, so our manufacturing processes comply with some of the strictest labor and environmental regulations in the United States. Every piece of jewelry purchased at Beverly Diamonds arrives enclosed in a wonderfully custom made designed ring box with our company logo to showcase the beauty of your product. Saying " I do " just got easier. Beverly Diamonds wants you to have the full shopping experience. Your order will include a customized complementary paper bag with our company logo, fresh design, and style which will compliment your deluxe ring box. Beverly Diamonds is pleased to offer a lifetime diamond upgrade program on all diamonds purchased with us. It's simple, call our Diamond & Jewelry Consultants at 1-855-456-8334 to learn more about our upgrade program and to select your new diamond. Purchasing an engagement ring or a jewelry item is a special moment for anyone. 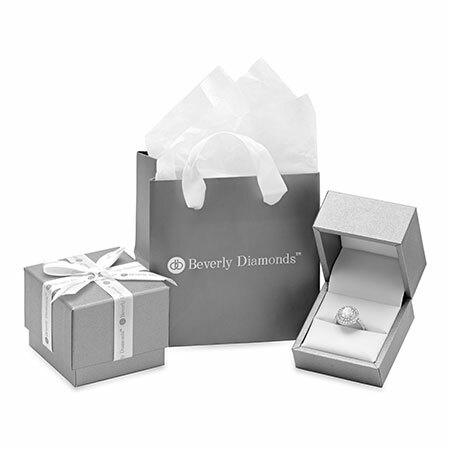 Here at Beverly Diamonds, we would like to increase your joy by including with every purchase a $50 complimentary Restaurant.com Gift Certificate on us! Use this certificate to treat you and your loved one. Our mission is to provide our customers with low prices while maintaining an extremely high level of quality & craftsmanship. Rest assured, our team works around the clock to assure competitive pricing & the latest fashionable diamond jewelry. Note: If you don't have your ring size yet & still want to take advantage of our sale price, have no worries. Simply select option " N/A " on the ring size menu & then complete your purchase. This allows us to process your order without any delays as well as give you the current sale price. When you are ready you may email us or call us with your ring size within 72 hours of your purchase, easy as that. H color: A "near-colorless" grade, yellowish color is faintly noticeable when compared to much higher color grades. An excellent value for everyone. F Color: A "colorless" grade appreciated best set in platinum or white gold. Considered one of the best color grades. E Color: A "colorless" grade, if you’re looking for a top quality color grade, this is it! Sl Clarity: Slightly Included. Diamonds may have minor eye-visible inclusions. Great brilliance & budget friendly. VS2 Clarity: Very Slightly Included. Diamonds will mostly be clear to the naked eye, may have minor eye-visible inclusions. Full of fire & brilliance. VS1 Clarity: Very Slightly Included. Diamonds will mostly be clear to the naked eye, may have extremely minor eye-visible inclusions. Excellent fire & brilliance. Clarity Enhanced Diamonds are 100% Real Natural Earth Mined Diamonds. Almost every diamond has natural marks. The clarity enhancement process is a state-of-the-art technology that optically eliminates these marks and improves the clarity and brilliance of the diamond, allowing you to get a bigger more beautiful diamond for less. Real Natural Diamonds that have been Clarity Enhanced by state-of-the-art technology to optically eliminate natural marks and improve the clarity & brilliance of the diamond, allowing you to get a bigger more beautiful diamond for less. 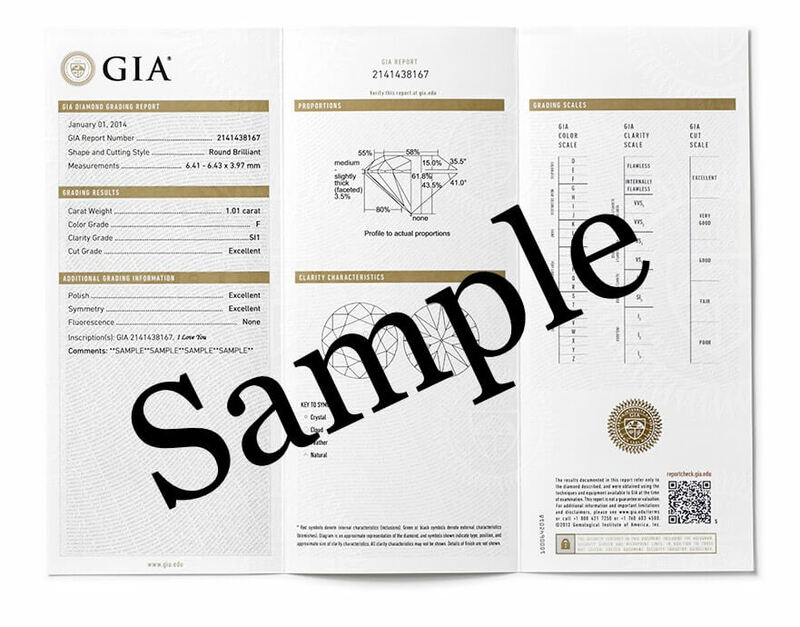 A Diamond Certificate is included with every purchase. Real Natural Diamonds, that have not been enhanced in anyway. A Diamond Certificate is included with every purchase. Thank you for choosing Beverly Diamonds. We appreciate your business and that is why we would love to offer you our premium warranty. For a period of one year from the original date of merchandise purchase any jewelry mounting or setting that is defective in either workmanship or materials will be repaired or replaced. Complimentary jewelry cloth, easy to use & will help bring back to life the fire of your diamond jewelry. Complimentary jewelry spray, Will assist greatly in removing dust/dirt from your diamond jewelry & bringing that original brilliance to your diamond jewelry. Now you will be able to upgrade your center diamond to a higher color or clarity or even upgrade to a larger carat weight. Give us a call or email us & our diamond specialist will assist you with high quality upgrade options along with our best prices. © Copyright 2019 All rights reserved By Beverlydiamonds. Every purchase made is considered very special to us, whether it be a loose diamond, engagement ring or earrings, therefore all items include a finely finished box. Beverly Diamonds is proud to bring you Top quality diamonds at Beverly Diamonds Prices by eliminating brokers, middleman, agents and wholesalers. Therefore, you as the 'Buyer' can derive maximum benefits in terms of price at premium service.Please find below graphical presentation to understand Beverly Diamonds’s value chain. Being the diamond manufacturer, we do not incur major overheads like the high street Jewellers; thereby we pass on massive savings to you, the customer. We purchase our diamonds at the source which eliminates the Brokers / Agents and Diamond Traders. Our shortest value chain, coupled with Ecommerce and In-house manufacturing facilitates top quality products at Beverly Diamonds Prices. Beverly Diamonds ensures to be the lowest in term of prices when compared to any other online / High street jewellers. We assure you "Price Match Guarantee". However if at all, you find our prices higher compared to others, email us the prices at [email protected], and we promise to match the same price for you. Enjoy Shopping!! !